Holy Crap !!! That is a Toyota??? That thing looks sporty as hell. It says right in the encyclopedia that the words Toyota and Sporty do not go in the same sentence ever! Looks like someone is going to have to come out with a revised addition! When the Toyota FT-86 concept was unveiled at the Tokyo Motor Show, we were surprised and delighted at the prospect of an attractive, rear-wheel-drive 2+2 with a $20,000 price tag. Could we just as excited for a $25,000 RWD Scion? We may not have a choice. The Wall Street Journal reports that Toyota management told dealers in Las Vegas there will be a production version of the FT-86 badged as a Scion model. The move would help bolster the struggling brand, which has been a bit product-starved of late. There are also rumors of a new price point – as high as $25,000 – and the possibility that the Subaru version will only be available in Europe. While the report claims the FT-86 will be badged as a Scion, there is no definitive word there won't be a Toyota variant as well. 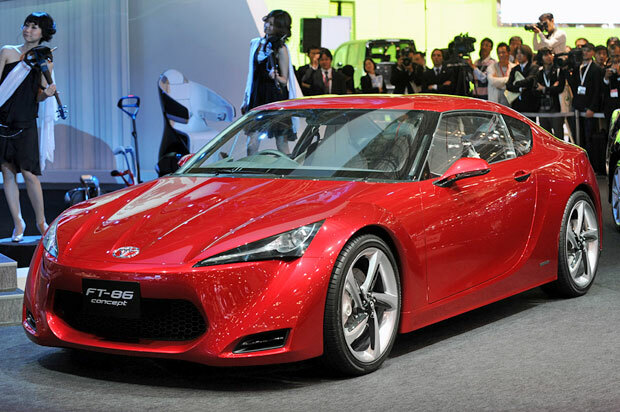 We're sure to learn more this auto show season, as reports show that the production FT-86 could arrive at the New York Auto Show in 2011. Certainly not bland like the rest of the lineup. Location: Middle of nowhere, KS. Really loving the view from the side. Not bad...doesnt do a whole lot for me though. Comparatively I think the 370z is still a much sexier car. Is this gonna have two seats? I hope toyota doesnt mess this car up. I dont think they are since they are putting a lot of time in the production of it. Hopefully working out all the kinks. I'm more interested in the subie version although I dont think its gonna look as good. But its suppose to be a NA 2.0 liter which may be pretty weak. So I guess we shouldnt expect much power from it. gotta be careful what you ask for. the 370z design is garbage, IMO. this one isnt too esteemed either, more like a conglomeration of tokyo drift parts. which is all it needs to be successful - no one is going to be critical of this design. its more its size, weight, and price that matter. Last edited by ThermonMermon; 03-02-2011 at 08:29 AM. I think it looks great. Lets hope its priced and powered reasonably well. The new FT-86 II Concept makes its world debut at the Geneva motor show, giving the clearest indication yet as to the final design of Toyota’s next sports car. It marks a return to the passion for driving that has inspired great Toyota cars of the past, starting with the legendary 2000 GT in the 1960s. With its long, low bonnet, high wings and rear-set cabin, the FT-86 II pays homage to Toyota’s sports car history and is an entirely driver-oriented concept. It was created at Toyota’s European design studio ED2, where its styling was dubbed ‘functional beauty’: its bold, sweeping form has been generated purely according to the constraints of function and aerodynamics. The low, highly aerodynamic bodyshell is stretched tight over the engineering hard points, with the muscular bodywork rendered as compact as possible. The concept measures 4,235mm long, 1,795mm wide and 1,270mm high, with a long, 2,570mm wheelbase. Rather than using a heavy, large displacement powertrain to secure performance, the FT86 II returns to Toyota’s sporting roots by combining a free-revving boxer petrol engine with a compact and lightweight six-speed manual transmission and a low centre of gravity to achieve the best possible power to weight ratio. Both the powertrain and the driving position have been set as low and as far back as possible to optimise balance for maximum poise, high-speed stability and agility. With a front-engine/rear-wheel drive configuration, this gives the car lively, accessible performance that is easy to harness and enjoy. 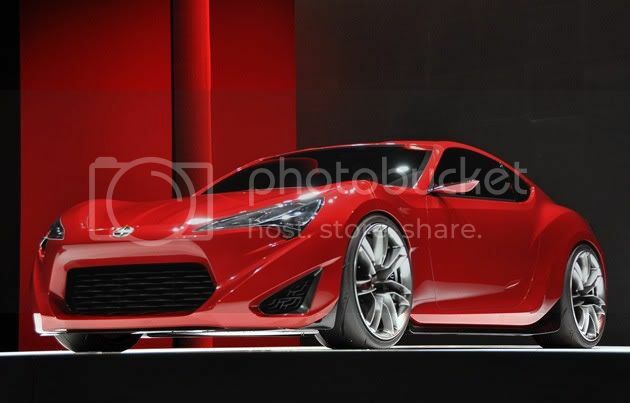 The FT-86 II Concept is the latest stage in the development of a new, compact rear-wheel drive sports car that is being jointly developed by Toyota and Fuji Heavy Industries (Subaru). The new model will be launched in Europe in 2012. Front and rear need to be a bit more toned down.....which I think will happen for production.....and that's a good thing. So, it has a 2-liter. Will it have the fantastic Subaru Turbo with some guts to it. Honda is quickly becoming way too generic and boring. The new Civic Si is going to have a very tiny audience. Stunning looks. The Subi flat four will give this car a very low CG. RWD will give it great balance. A turbo with some guts will make it quick and fun. Looks even better. I agree it needs some toning done. Can't wait to see the production version of this. Guessing next year's NAIAS. Honda will pull an Acura. They will take a Pilot, lower the roof, and call it a sports coupe. omg... it's going to be my next car...... SO HAWT! I don't like it at all, they killed the clean sleek lines of the first one with an overdone body kit. I'm sure some of the LFA's styling cues are there on purpose. It's way over the top with the front a rear facias and LED's everywhere, but that's just concept car dress up. They did the same thing with Genesis coupe. I like the idea of this one a lot, and I hate cars so there you go. i dont like it, at all. the LF-A is the new Supra. Like the black one better. And its a Scion?